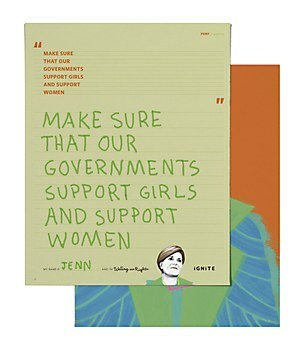 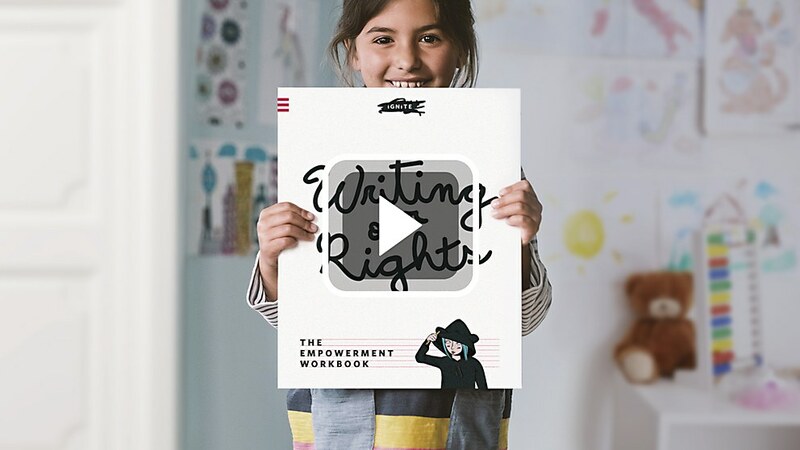 This workbook, created by Pereira & O’Dell to further a nonpartisan national movement, helps girls write their rights. 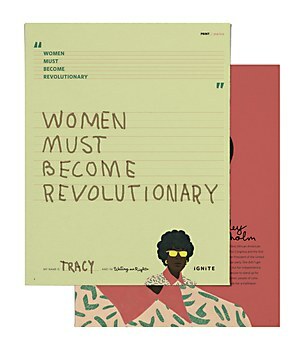 “﻿Women in this country must become revolutionaries,” Shirley Chisholm, the first African American woman elected to the US Congress, once said. 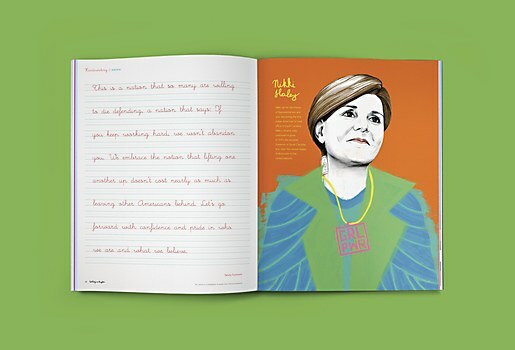 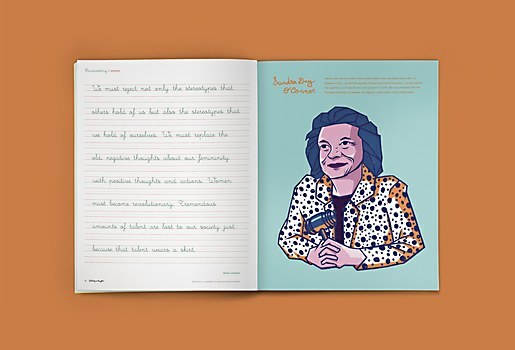 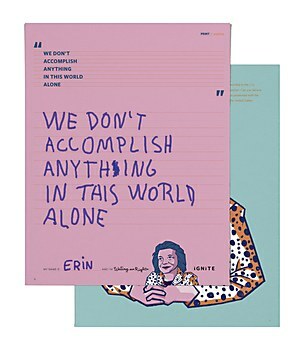 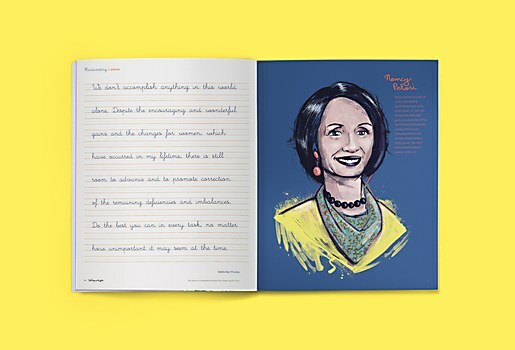 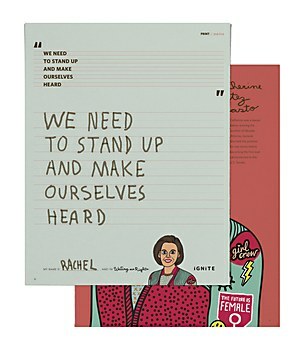 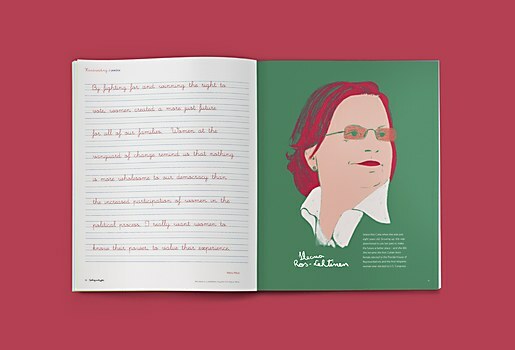 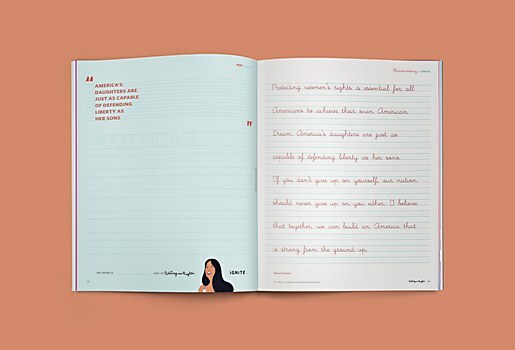 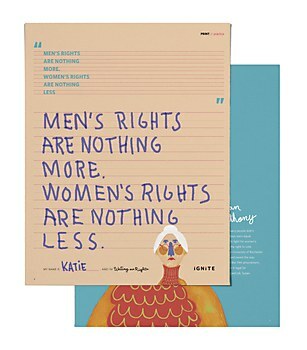 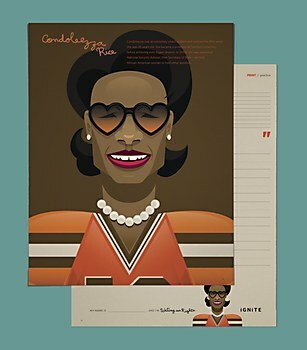 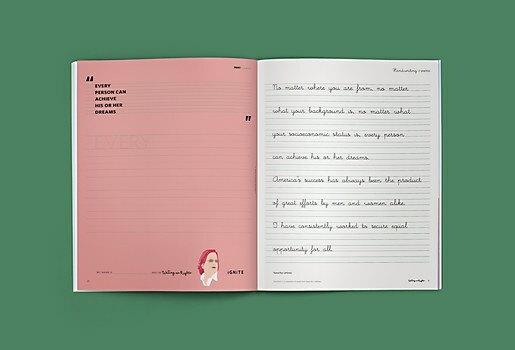 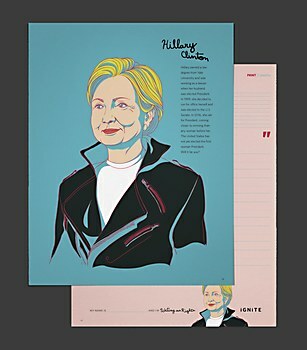 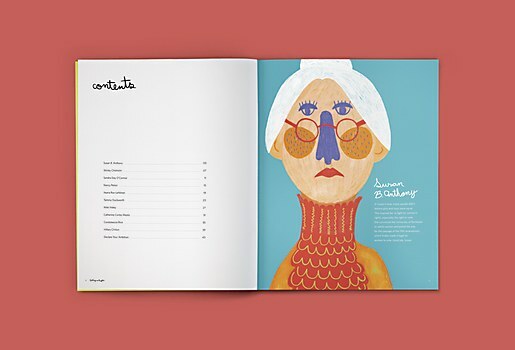 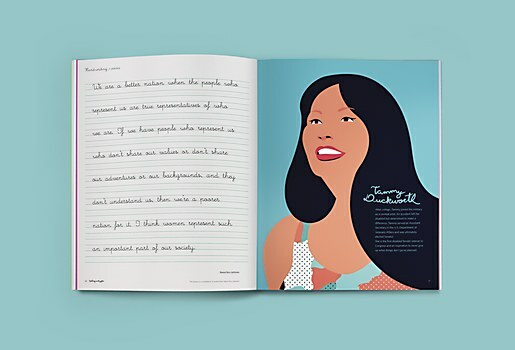 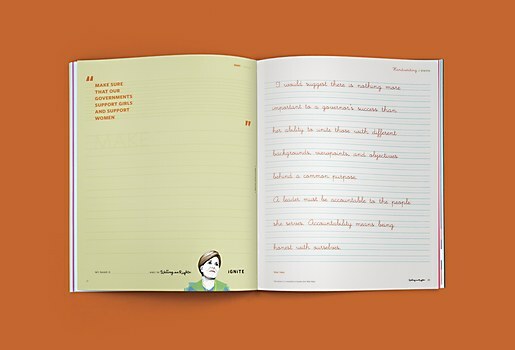 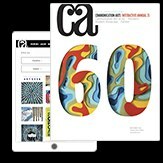 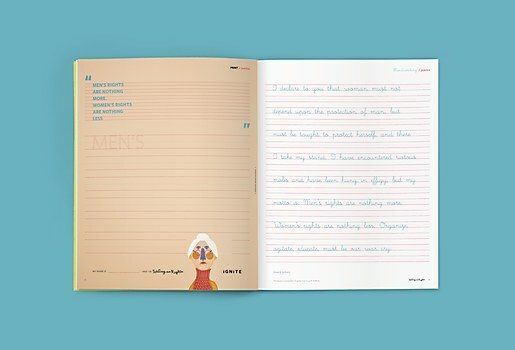 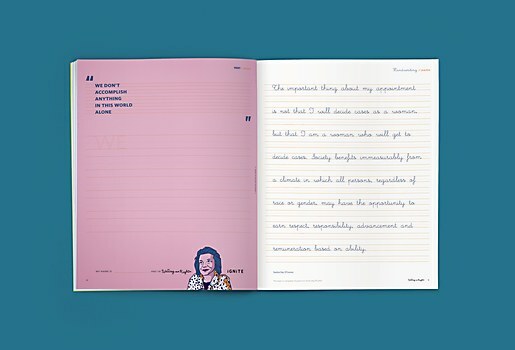 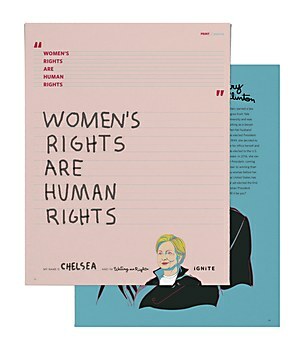 Today, her words—as well as those of nine other female political trailblazers—are being celebrated in a children’s handwriting workbook created by San Francisco–based ad agency Pereira & O’Dell for IGNITE. 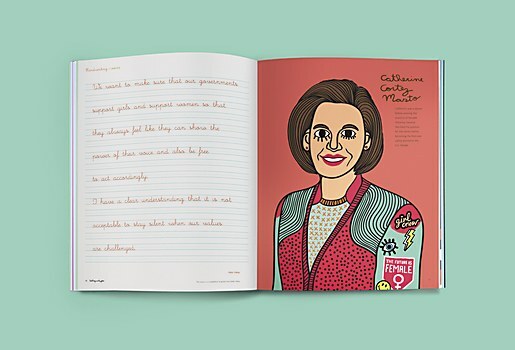 Embodying the Oakland, California–based nonprofit’s mission of empowering the next generation of women to step into political power, Writing Our Rights features beautiful illustrations and writing exercises. 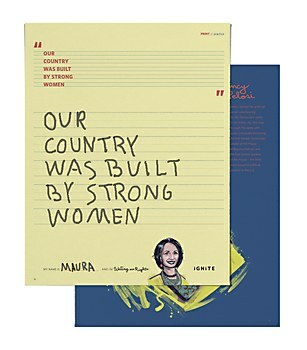 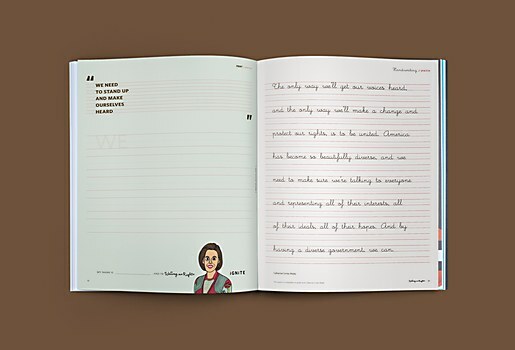 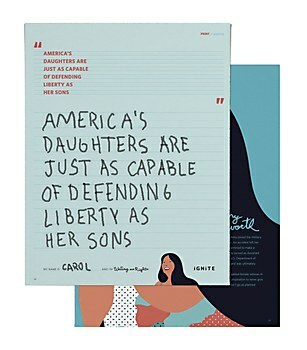 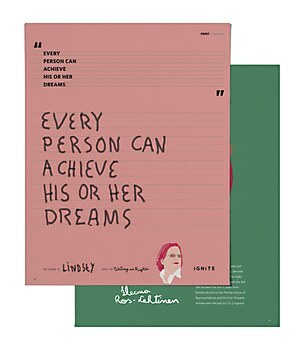 Young girls can practice their handwriting by copying quotes and excerpts from the nation’s most powerful speeches, then tear the workbook’s perforated pages out to display as posters. 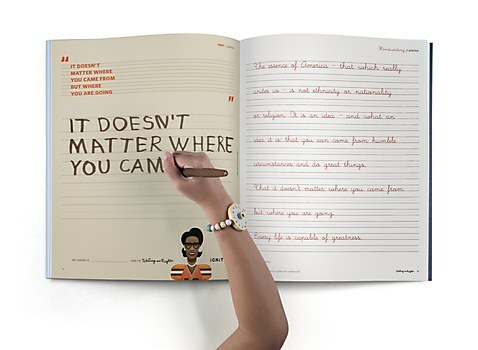 When they reach the end of the book, they’ll find a place to write their own inspirational words. 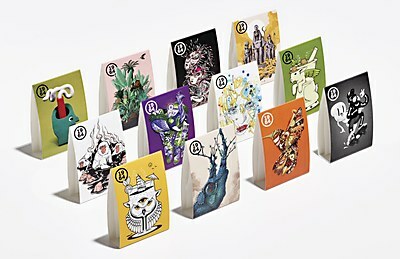 Twelve cannabis strains and nine artists make for one stand-out packaging system from One Twenty Three West. 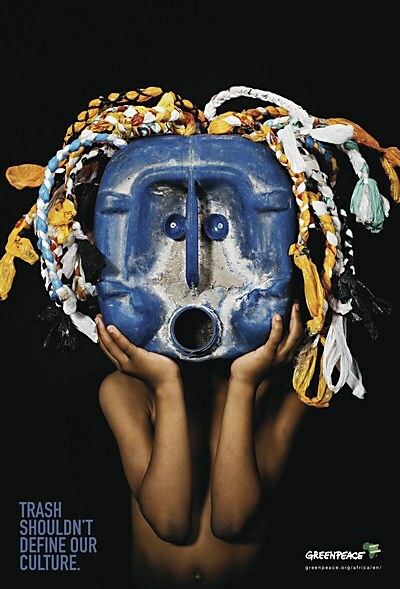 Advantage Y&R’s print ads help Africans take a fresh look at the continent’s budding trash crisis. 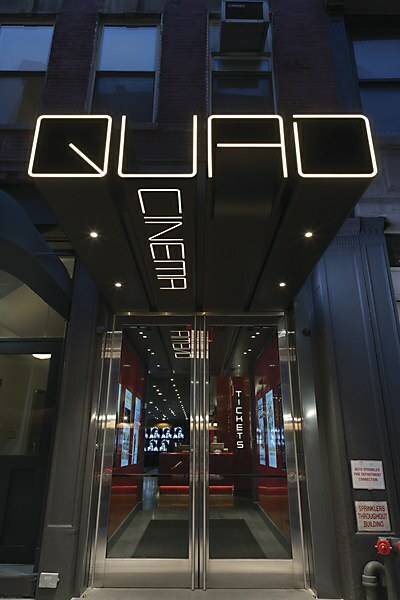 A monumental marquee is just the start of Pentagram’s comprehensive identity for New York City’s first multiplex.